A biennial juried exhibition and archive publication from Root Division featuring the works of MFA candidates at 9 of the top Bay Area institutions. 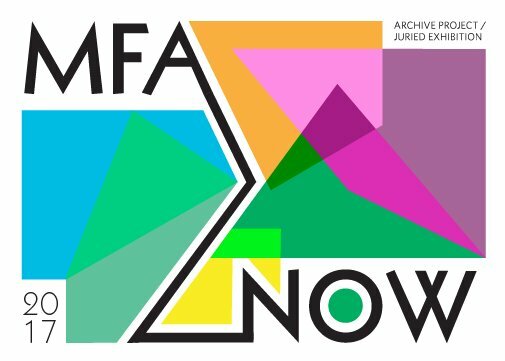 Simon Boas (DANM '18), Marguerite Kalhor (DANM '17) and Scott Tooby (DANM '17) are included in this year's MFA NOW exhibition, now showing at Root Division in San Francisco. This is the first time that UCSC students have been included in MFA NOW, a "biennial juried exhibition and archive publication featuring the works of MFA candidates at 9 of the top Bay Area institutions." Now in it’s fifth iteration, the MFA Now project provides a platform for looking at Bay Area artists and institutions in order to promote dialogue between programs and to archive current art-making practices and models. This year’s exhibition includes the work of twenty five artists selected by juror Natalia Mount (Executive Director, ProArts Oakland). Selected from over 153 submissions based on a single image and artist statement, the works included in this exhibition display a quality of content and execution that is indicative of the rigor of advanced art degree programs. Ranging in media from large scale installation, to video, sculpture, photography and painting, the exhibition is a rare glimpse into the developing practices of candidates prior to their thesis presentations. Root Division is honored to expand the scope of this project to include two additional programs in our 2017 presentation: University of California, Davis, and Santa Cruz. These students’ work will be documented alongside their peers from California College of the Arts, Mills College, San Francisco Art Institute, San Francisco State University, San Jose State University, Stanford University, and University of California, Berkeley in our archive publication. MFA Now is free, open to the public, and includes a Creative Station - all ages art activities hosted in our classroom during the 2nd Saturday opening reception.